Chökyi Senge, “lion of dharma,” is the abbot of Surmang Dutsi Til monastery and the twelfth in a line of Trungpa incarnations as the reincarnation of Chögyam Trungpa Rinpoche. Chökyi Senge was born in 1989 in Derge to a nomadic family with ties to the royal family of Derge. In 1991, during a tour of eastern Tibet, His Eminence Tai Situ Rinpoche met his parents and asked them to bring their son to him. Soon after, they brought the young boy to him and Situ Rinpoche announced “this is the 12th Trungpa Tulku.” Chökyi Senge was enthroned a year later at Surmang Dutsi Til Monastery. Domkar Rinpoche, a high Kagyu lama who is also Chökyi Senge’s uncle, presided over the enthronement. Following his enthronement, Chökyi Senge spent the next twelve years primarily with his parents in Derge, visiting Surmang frequently and beginning his education at the Palpung shedra. This shedra is part of Palpung Monastery, the traditional seat of the Tai Situ Rinpoches in Tibet. In 2003, the Twelfth Trungpa took up residence at Surmang Dutsi Til, where his living quarters were located on top of the monastery shrine room. In the spring of 2004, Trungpa XII Rinpoche studied with Karma Senge Rinpoche, the nephew of Chögyam Trungpa Rinpoche, at his monastery in Kyere. After these studies, he then began to study at Surmang Namgyaltse monastery, where he continued his studies until July of 2008. At that time, the maturing Twelfth Trungpa enrolled in Larung Buddhist Academy, a renowned institute of learning founded by His Holiness Khenpo Jigme Phuntsok in Serta. For many years, the Twelfth Trungpa spent most of his time at Serta engaged in extensive study under the guidance of the renowned khenpos there. 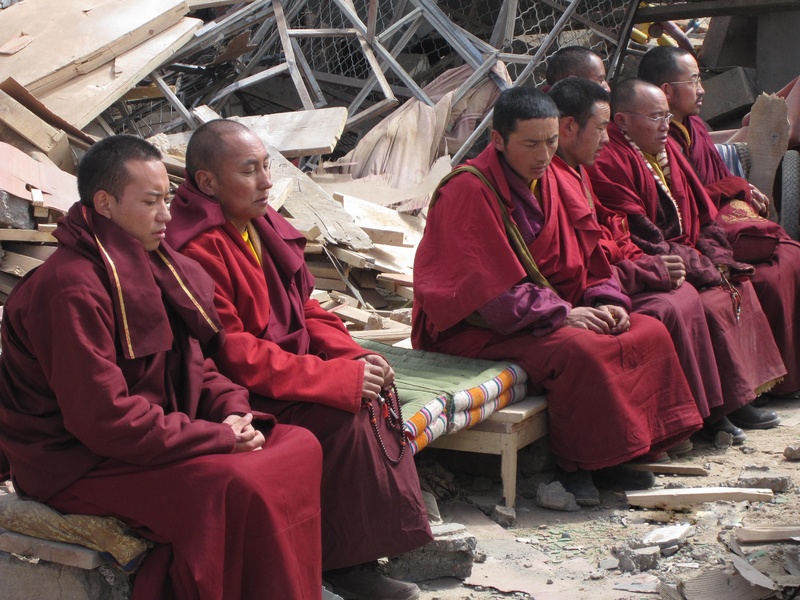 In the wake of the tragic earthquake in Jyekundo (Yushu) in April 2010, the Twelfth Trungpa spent a period of time there along with the other leadership of Surmang Dutsi Til. They initially helped search for survivors and performed a number of rituals for the deceased. Subsequently the Twelfth Trungpa and other Surmang leaders met with and provided financial and food aid to families there, with the generous support of donors to the Konchok Foundation. See our Earthquake Relief gallery for photos of the disaster and relief efforts. Along with studying and receiving transmissions at Serta, the Twelfth Trungpa continues to learn the dharma traditions particular to Surmang. 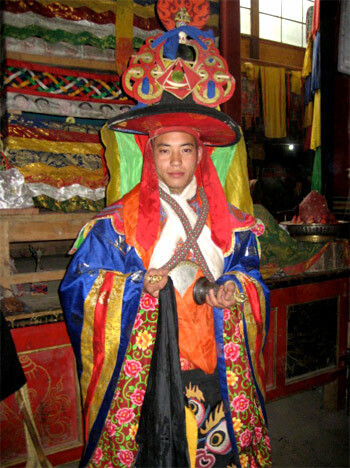 In the fall of 2009, he studied the Chakrasamvara dance and participated in the annual Chakrasamvara Dance after Losar, the Tibetan New Year. Traditionally, the Chakrasamvara Dance at Surmang is led by the current Trungpa Rinpoche, once he has mastered the intricate steps. Now, in his mid-20s, the Twelfth Trungpa principally resides at Surmang Dutsi til, where he is engaged in teaching activities. In addition. he performs practices regularly with the Surmang monks and accompanies them on visits to local villagers, doing prayers for those who are sick or dying.